Are our schools in safe hands? Author and academic Stephen Ball believes that the biggest area of concern in UK education is about the academisation of the school system – an agenda that Education Secretary Nicky Morgan has reiterated her support for, announcing that under a new education bill failing schools could be forced into taking on academy status. Academy status takes the management and funding of education away from the publicly accountable local authority and places it into the hands of charitable organisations, who are overseen by central government. But is it wise to fragment and delocalise the structure of our school system? On March 9th 2015 David Cameron Announced that a further 500 free schools would be opened in England in the next five years under a Conservative government, creating an extra 270,000 school places in free schools by 2020. This expansion would take place alongside the continuation of the academisation of existing state schools. With hours to go until Polling Stations close and constituency level polling indicating that this is going to be a close run thing in many areas across the country, your vote can really make a difference. So if you haven’t voted yet here are 22 reasons why you might want to go and make your mark NOW! Congratulations to all our winners – a signed copy of the book is now on its way to you- and huge thanks to all of you who took part in the competition! Not lucky this time? Never fear you can still buy Back to the future of socialism at the special pre-election discount price of £9.99 (RRP £19.99) from Policy Press website or download the kindle edition for only £4.79 here. Discounts apply until midnight Friday 15th May. This time next week it will be all over. The nation will have voted to decide on the future of country for the next five years. Will we continue along the route of neoliberal, right-wing orthodoxy or is there a chance for an alternative, socialist future, for a fairer, more equal society? 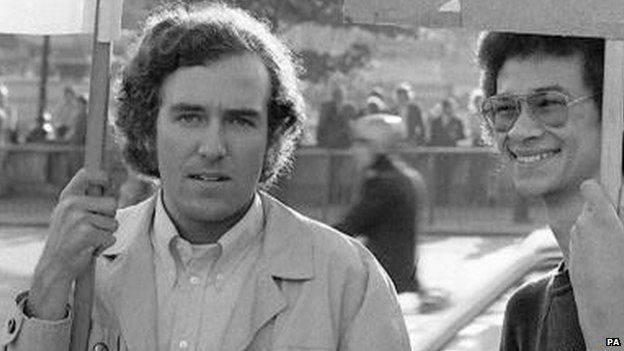 Political insider Peter Hain’s book Back to the future of socialism tackles those questions, challenging austerity politics and calling for fundamental changes to the structure of our society. Where did Anthony Crosland first serve as a Member for Parliament? Email your answer to pp-marketing@bristol.ac.uk. The first five winners drawn out of the bag midnight Wednesday 6th May will receive their very own signed copy of the book. Winners will be announced on election day, of course! Can’t wait to win the quiz? 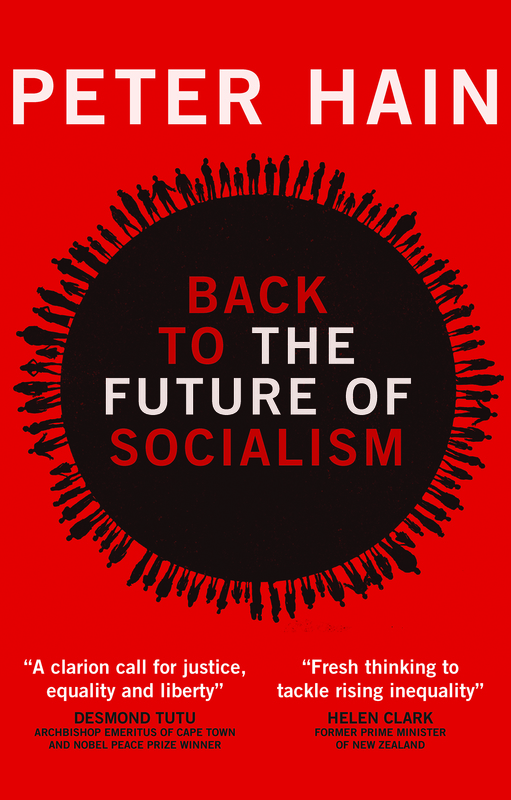 You can also buy Back to the future of socialism at the special pre-election discount price of £9.99 (RRP £19.99) from Policy Press website or download the kindle edition for only £4.79 here. Discounts apply until midnight Friday 8th May. UK “evidence free” government since 2010: What can we learn from the Dutch analysis of manifesto pledges? 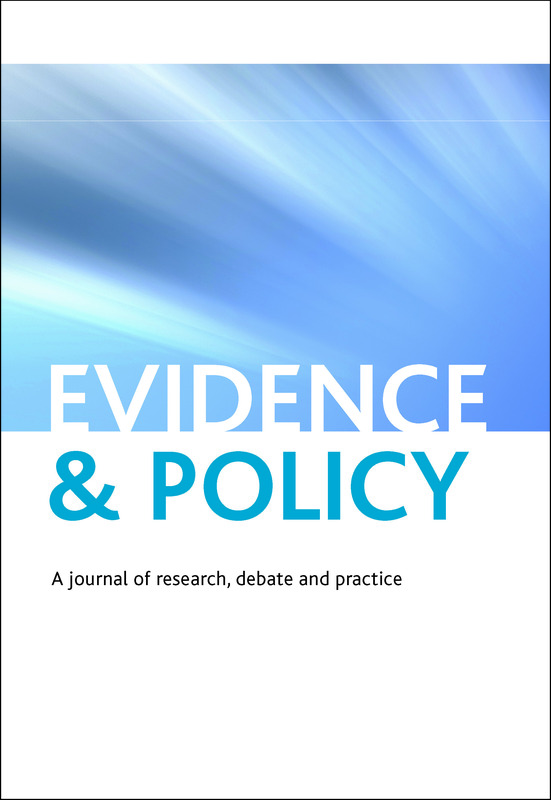 In the May issue of Evidence and Policy Sources and resources section, Mark Monaghan interviews Netherlands Bureau for Economic Policy Analysis (CPB) Wim Suyker about the Dutch approach to manifesto pledge analysis. In the run up to the UK General Election it seems pertinent to share this interview as we all ready ourselves to make decisions on who will govern us over the next five years. The 2010 general election signalled a turning point in the fortunes of evidence-based policy-making. From a high-point under the early iterations of the New Labour government, it has become apparent that the current Coalition government have been less preoccupied with highlighting the evidence-based credentials of their policy formulation. Recent commentaries have gone as far as to highlight the ‘strange new world of evidence-free government’. It is, of course, debatable how ‘new’ this actually is. However, a paradox of the declining prominence of evidence within government is the increasing scrutiny of evidence use from outside in the form of a seemingly increasing desire on behalf of the public to scrutinise the work of politicians. This is possibly (probably) a response to the Parliamentary expenses scandal of 2009, but within this climate, many new initiatives such as the FactCheck blog hosted by Channel 4 and the creation of an Office for Budget Responsibility (OBR) have come to fruition. According to its web pages, the OBR was created in 2010 to ‘provide independent and authoritative analysis of the UK’s public finances’. More recently in conjunction with the Alliance for Useful Evidence, The Conversation has launched its Manifesto Check service. Such initiatives may seem long overdue, yet they have been a common feature of the Dutch political system for many years, particularly in the work of the Netherlands Bureau for Economic Policy Analysis (CPB). Established in 1945, the CPB is an independent organisation working ‘at the crossroads of economics and public policy’. It provides quarterly forecasts on the state of the Dutch economy. Importantly, it also offers all interested political Parties an analysis of the mainly economic effects of their manifesto pledges. This analysis then helps shape political debate in the run up to General Elections. As we approach the 2015 General Election it is necessary to see what lessons the UK (and elsewhere) can learn from Dutch experience. In this interview Mark Monaghan discusses the CPB Manifesto Project with Wim Suyker of the CPB. Monaghan: OK, so could you please tell our readers about the work of the CPB and your work within it? Suyker: We are an institute employing around 100 people. We do various research projects, but we are also responsible for the official macro economic forecasts used for the budget. In that way we are comparable with the Office of Budget Responsibility in the UK. So that is our main activity. I could tell you about our history, but that is all the things that you can find on our website. Monaghan: Could you tell us more about the Manifesto’s Project? How long has that been running and do all Parties participate? Suyker: We have been running that since 1986. All Parties can decide if they want to join this exercise. It is on a voluntary basis in the sense that there is no law that says Parties should participate in this. It can, however, lead to awkward questions from the Press and other parties if Parties do not cooperate in the project. Last time we had ten Parties involved in this project. It was in 2012. Monaghan: So there were ten Parties who submitted their Manifestos to yourselves, how many Parties in total contested the elections? Suyker: There was only one Party in Parliament (Party for the Animals), that in principle didn’t participate in the project. It is not their cup of tea. There was another Party who in the election polls had 1 seat – this was the party of the Retired Persons (50PLUS) – they could have joined the project, but they decided not to do it. This was because they were very new and they didn’t have the staff etcetera. Monaghan: OK, so it tends to be smaller, single issue Parties that don’t participate? Suyker: Well, it depends. For instance, we have the Socialist Party. They are to the left of the Social Democratic or Labour Party and they are always very explicit in the way they decide whether to participate. ‘Is there something in it for us or not’? So the fact that basically now all Parties are participating now does not mean that it will be the same next time and it depends on the political situation. It is likely that the Parties who participated the last time will participate again in the coming projects, but it is not certain. Monaghan: You mentioned earlier in passing the kind of, I suppose, penalty that Parties get if they fail to engage with the process, but that is not an official sanction? Suyker: Oh no, it is more a judgement in the Press. For some parties – such as the Party for the Animals – it doesn’t hurt them by not doing it. It may hurt them if they are participating because their electorate may not like this kind of economic analysis. Monaghan: And so that brings me on to the next question which is on what grounds are the Manifestos scrutinised? Is it just economic policy or does it cover social policies, health policies and so on…? Suyker: Well, we have made a modification on this. In 2012 it was rather a broad exercise which we were doing with the Environmental Agency. We were also taking into account environmental impacts on policies. So we looked at fiscal and infrastructure policies. There was an analysis of energy and climate, innovation and education. You can get a flavour of it by looking through the English language summary. Having said that, there were a lot of issues tackled or topics tackled in the discussion before elections, but it is really the impact on economic growth in the short term, the impact on the Government budget in the medium term and the impact on employment in the long term that are the main issues discussed after the analysis is published. Monaghan: So is the purpose of it to check facts? Suyker: Perhaps I should clarify something. We don’t analyse the manifestos. The Parties make their election manifesto and on the basis of that they come to us with a list of measures that they want checking. So we don’t have to do an analysis of the Manifesto, it is for the Party to come with this list of measures, as concrete as possible, for us to look at. They may subsequently come with an additional list also. Monaghan: So does that process take place publicly or privately? Suyker: At that stage it is on a confidential basis. At the start of the process we make clear, by publishing on the website, what we are going to do. After that, it is down to Parties to decide whether to participate or not. We don’t comment in the Press which Party is or is not participating in the project. If a Party decides to stop its activity we will not comment on that in the Press. We will not say that a Party started the process and then quit. It is a thing for the Parties to say in the Press or not. Monaghan: OK, and so the findings of the CPB are they published before or after the election? Suyker: Before the election. Our aim is to publish that at least 3 weeks before the elections because we don’t want it too close to the election date. It is desirable that there is some discussion about the output we have, but it is also desirable that it is not too close to the election date. Monaghan: Is that because you are concerned about the findings swaying public opinion in any way? Suyker: Well in some ways for a good debate, you need some time to digest the complex issues. So I think time is desirable in a project like ours that the public can take through the Press the results, their can be some discussion about the results between the Parties and I think that is a fruitful input into the elections. Monaghan: How do you decide the order in which the Manifestos are looked at? Suyker: It is based on the outcome of the previous elections. The Party that has the biggest share of the electorate will be number 1 in the publication and they will be the first Party mentioned in tables and graphs etcetera. Monaghan: So all the findings are published in one document? It is not a series of separate documents? Suyker: No, we have one document. Last time that was 454 pages. Basically, that is it. Last times we gave a press conference at the time of publication. At the beginning of the process, we clarify the rules of the project. There is some additional material in which we do this and that is basically all the material involved. Monaghan: And there is an executive summary…? Suyker: Yes exactly. Then there are chapters. Every Party has its chapter and there is an introductory chapter which discusses the methodological issues involved. Monaghan: Is there any sense from yourselves that the findings of the report can or do sway public opinion and is there any evidence for it? Suyker: Well, you can see that the number of hits on our website increases a lot just after publication of the report and you can also see how it is mentioned a lot in the Press so it is clear that it is playing a role in the election process. What is also interesting is that after elections we have negotiations to form a Coalition and it is really obvious to say that the publication is an important input in this respect. Monaghan: Is there anything specific to the discuss political system as to why this process works and would it translate to other places? Suyker: What is peculiar or specific to the Dutch situation is that we always have a coalition government. The UK not also has its coalition government, but it is based on a senior/junior partner arrangement. Most of the time our Coalitions are different. Of course there is one Party who supply the Prime Minister but they are more equal partners. I think in this context the project fits very well. It is the case that you also need to have authority and to be trusted by the public. I discussed this with French colleagues and for them it is hard to understand what we are doing. There needs to be consensus about how the economy works in broad terms. If you are considering a shock to expenditure there needs to be a consensus that an expansionary fiscal shock in the short-term will have a positive impact on GDP in the future. There should also be a consensus that changes in taxes and social security payments will change incentives to participate in the labour market and thus are influencing labour supply and employment in the long term that incentives on labour supply will have measurable outcomes. It relies on a situation where there aren’t too many elements of the process that Parties don’t agree with. I think it is always for Parties to give and take. There may be elements that they like more than other elements, but they should accept the rules of the game. Monaghan: So in your opinion, the project only works in the context that there is consensus across the political spectrum on what can be measured? Suyker: Yes. Political Parties should accept that we are setting some rules for this project and they should be more or less happy with those rules. We always try to inform them of the rules some time before we start. We also discuss changes to the process, but there should be a consensus climate otherwise it would be very tough to do. Monaghan: Have you ever discussed the process with counterparts in the United Kingdom? Suyker: Well, Robert Chote [chair of the OBR] you mean? Suyker: We have given various presentations abroad. There are a lot of colleagues abroad who are interested in our experience and one of my colleagues this week was in Bratislava to explain the system. I’m pretty sure that if after the elections in the UK it is decided that they will have this kind of exercise then we will be in contact with the OBR. Monaghan: So do you think this could be translated to the UK context, bearing in mind the level of consensus you suggested was necessary for the exercise to succeed? Suyker: I think that I had more doubts about this three or four years ago, but if you have an OBR that is responsible for the economic forecasts then you have already made a big step in research-based policy making. So I think it could work well in the UK, but the Parties need to get the experience and you would have to show how there are trade offs in the process of decision-making. So I think it could work, yes. Monaghan: Yes, would you basically see an expanded role for the OBR? Suyker: I guess that is the most likely scenario. That is my guess, but I am not familiar enough with the situation to be sure, but the OBR is the most likely candidate to do this kind of project. This article will be published in Open Access Sources & Resources section of the May issue of Evidence & Policy. For a free online trial to this journal, please sign up here. 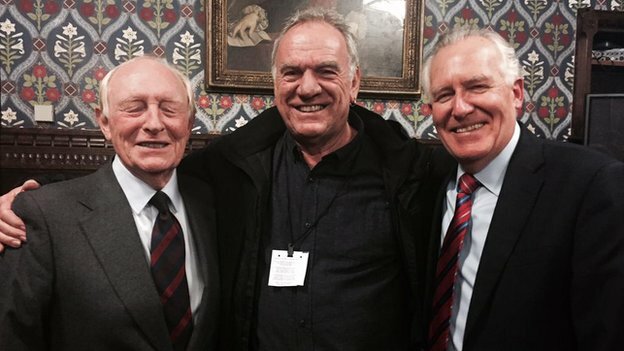 Has transport has been slowly but surely creeping up the political agenda at Westminster? When we first sat down to startwriting The Transport Debate in 2010, just after the last election, the prospects weren’t particularly encouraging. As a policy area, transport had for a long time been largely forgotten. Spending large sums of money even to stop the quality gap between Britain and other European countries getting any more glaring had been anathema to successive ministers. Over lunch one day, a Treasury official explained to us that if the UK could achieve about the same GDP as France without a TGV system, a comprehensive motorway system and a very rapidly expanding programme of urban tram re-openings, why bother spending the money? Five years on, it all seems rather different. It’s not particularly fashionable to praise the Chancellor, especially in academic circles, but the view that we might well be better off if we do invest heavily in our transport networks seems to have gained traction in Whitehall since George Osborne took over. Despite the worst economic downturn for generations, we are witnessing the most investment in our railways for, well, generations. 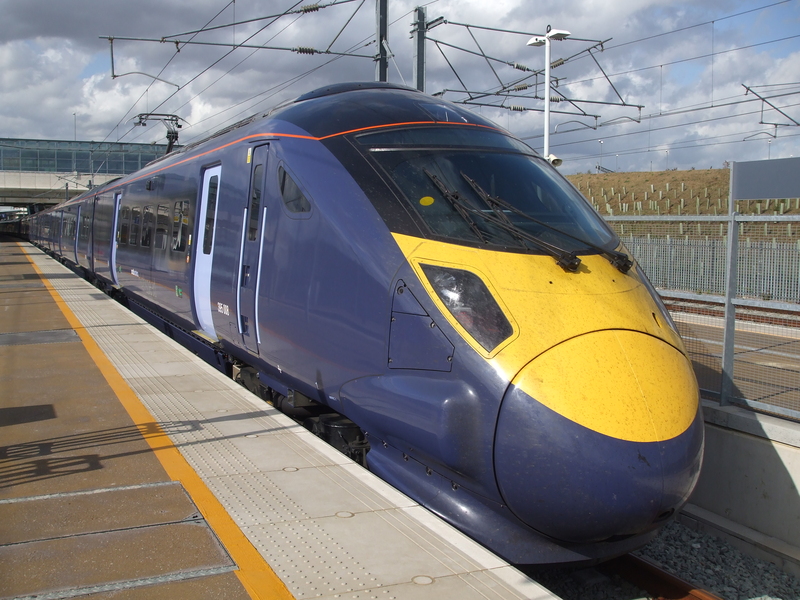 Crossrail and Thameslink are being taken through to completion; HS2 has been supported enthusiastically; hundreds of miles of electrification have been approved; thousands of new train carriages have started to arrive; the ‘Northern Hub’ is being built and a raft of major station improvements (e.g. Reading, Birmingham New Street) are progressing nicely. New tramlines are opening up in Nottingham and Greater Manchester. 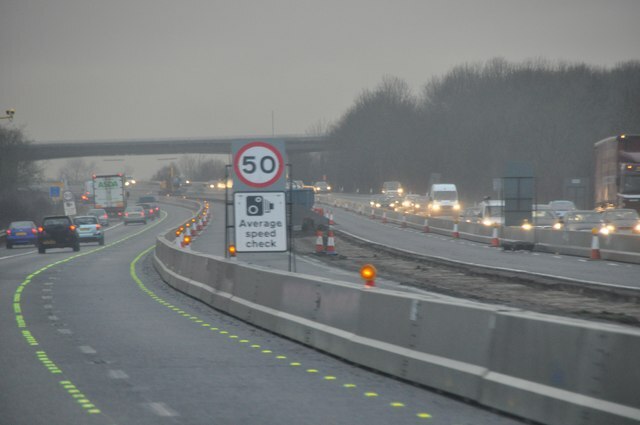 On the roads we have witnessed a revitalisation of reasonably large-scale road building and a medium-term funding commitment to the newly created Highways England. ‘Smart motorways’ are cropping up all over the place and a network of ‘Expressways’ – upgraded ‘A’ roads with controlled access and grade-separated junctions – has been announced. Looking to the future we now have on the table more new roads, Crossrail 2, further railway electrification, a new western rail connection to Heathrow and an ambitious proposal including HS3 to link up the cities of the North of England. We of course will have to wait and see if these and other vaunted schemes ever see the light of day, but we’d be tempted to lay a tenner on at least some of them coming to fruition. It is not entirely clear why transport investment has all of a sudden become fashionable again (we quite like the story about George Osborne’s dad coming back from Japan waxing lyrical about the quality of their railway system) but, whatever the reason, we should celebrate it while it lasts. Although our transport system is functional, it is by any number of measures poor in relation to those of, say, Germany, France and the Netherlands. We are probably in a minority among our colleagues in embracing the DfT’s current road building proposals, but surely there is no excuse for perpetuating a poor quality inter-urban road network. The trick will be to ‘lock in’ the benefits of better roads – less congestion, more reliable journey times, a reduction in pollution and so on – so that traffic is not induced onto improved sections. In any event, we should remember that the amount of rail investment dwarfs that being spent on new roads. Does all of this mean that we’re going to be popping up in one of those election adverts on YouTube giving an academic thumbs up for Dave, George and the troops? Not exactly. The truth is that neither Coalition party would like the message we’d have to give them. Even after all the hard work, after all the ‘difficult decisions’ that have enabled transport investment to take place while cuts are made elsewhere, Coalition ministers have only got the their approach at best one third right. That’s 33%. We’d fail a student for scoring less than 40%. As geographers, we can think of the problem as one of scale. Building lots of new inter-city infrastructure is certainly helping to make good past mistakes at the national level, but there’s been precious little happening to promote our international links. The only discernable policy making for aviation has been the decision to set up the Davies Commission. This is a shameful fudge. 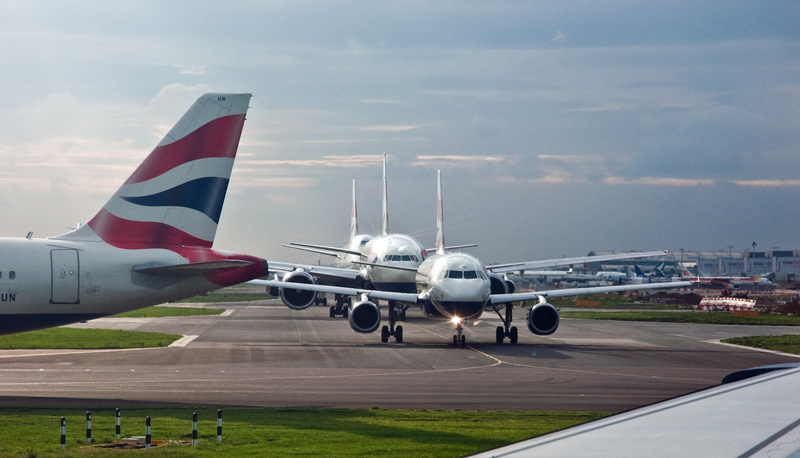 The government should long ago have decided either to build new runways (Labour supported expansion at Heathrow) or to have a more ‘sustainable’ aviation policy by forcing the airports to work more efficiently (bigger planes, fewer short haul flights and so on). Perhaps better still, it could have decided to do both. In the context of previous governments’ ceaseless dithering, putting everything on hold for five more years is an abrogation of duty. And outside of London, at the local level there’s arguably an even bigger problem. Investment in our provincial urban transport networks has fared worse over the years than our inter-city ones. Assuming people’s final destination lies beyond the main railway stations, local transport in Birmingham, Leeds, Liverpool, Bristol and so on will become swamped with the hugely increasing number of passengers disgorging from new HS2 and other electric trains. And this will be on top of the rise in demand associated with population growth in each of these centres. We might think Manchester’s and Nottingham’s trams are great – and indeed in the British context they are – but they are pretty small beer in relation to what others take for granted. Consider also that there is not one English city outside of London with an underground network, and most provincial centres except maybe Birmingham and Manchester have rather under-developed urban rail networks by the best European standards. While our Second City has a patched-together Victorian urban rail system on a single light rail line, Frankfurt, its smaller twin, enjoys nine S-Bahn and several other urban lines (including a cross-city tunnel with trains every two minutes), 11 tramlines and fully nine underground lines. English urban transport systems are mainly the preserve of deregulated bus services with their ever-changing routes and fares – and, in Liverpool, virtually no priority on the road network. There are moves afoot to introduce smart ticketing across the large conurbations, and to regulate the bus network in Tyne and Wear and maybe Greater Manchester. Perhaps the large private bus companies are starting to realise that their effective control over local bus policy might be coming to an end. How novel that the passenger rather than the shareholder might be placed at the centre of urban transport operations. 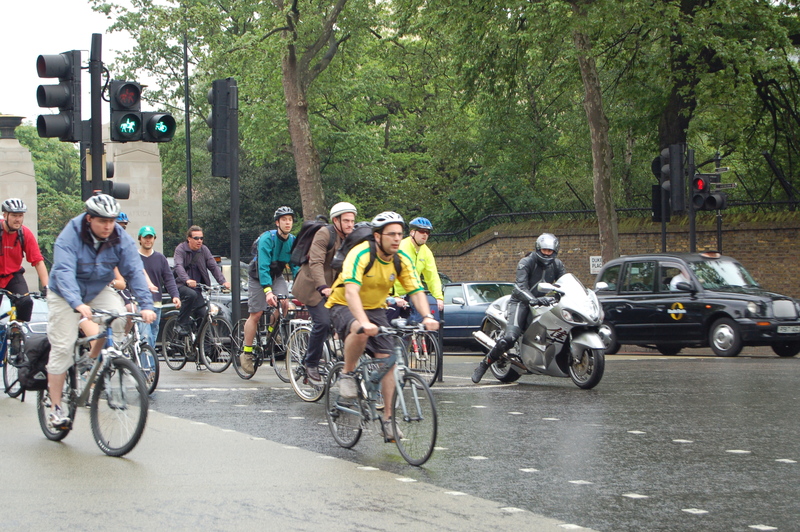 We have seen from across the Channel how it is possible to change the direction of transport policy. Like Britain, France used to be heavily reliant on the car but over the course of the last 40 years – no-one is suggesting change of this magnitude can come quickly – has completely transformed the focus of its transport investment, predominantly (but not exclusively) to benefit the public modes. Transport for London is now into the second decade of a transformational investment strategy, but some of the seeds for what’s happening at the national level were sown only a couple of years before Gordon Brown was ejected from Number 10. The Coalition has been delivering on a commitment to significantly improve inter-urban railways and roads, but is it realistic to expect the next government to continue this and get to grips with aviation and local transport? Given the need for heavy investment across the country’s public services in a climate of continued austerity, despite all the recent good progress we are not sure we’d lay a tenner on that just yet. 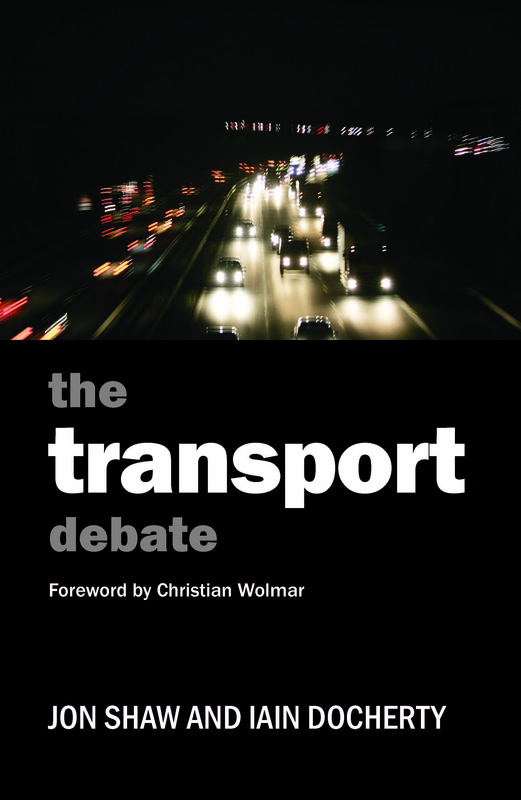 The transport debate by Jon Shaw and Ian Docherty is available for purchase from our website here (RRP £14.99). Don’t forget Policy Press newsletter subscribers get a 35% discount when ordering through our website. If you’re not a subscriber yet why not sign up here today and join our Policy Press community? Now in the midst of election campaigning, we’re bamboozled by spin and party politics, but what about the facts? What about the very real stories and statistics that should provide the foundation of our decision about who to vote for? We have selected five of our books that present these clearly. Read one, some or all of them, read the policies, and place your vote. In defence of welfare – Want to know more about developments in ‘welfare’ over the last five years of Coalition Government? This book brings you nearly 50 short, digestible pieces from a range of social policy academics, policy makers and journalists full of facts and analysis of welfare changes since 2010. Austerity bites Mary O’Hara – If ‘austerity’ is the thing you most want to know about then this book is for you. It chronicles the impact of austerity on people at the sharp end of the cuts, based on the author’s 12-month journey around the country in 2012 and 2013 and fully updated for the paperback edition. Getting by – Lisa Mckenzie – Poor neighbourhoods are an area of public concern and media scorn but if you want to hear the story from the inside then you’ll want to read Getting by. Lisa Mckenzie lived on the notorious St Ann’s estate in Nottingham for more than 20 years. Her ‘insider’ status enables us to hear the stories of its residents, often wary of outsiders, to give a unique account of life in poor communities in contemporary Britain. Good times, bad times – John Hills – Do you want hard data and facts about who benefits most from welfare spending in this country? Using extensive research and survey evidence, this book challenges the myth that the population divides into those who benefit from the welfare state and those who pay into it. It shows that all of us rely on the welfare state throughout our lifetimes, not just a small ‘welfare-dependent’ minority. Sixteen for 16 – Salvatore Babones – And if you’re already thinking about the possible impact of next years’ US Presidential election then Sixteen for ’16 offers a new agenda for the 2016 US election crafted around sixteen core principles from securing jobs to saving the Earth. It is a manifesto which makes the argument for each of these positions, clearly, concisely, and supported by hard data.